The BUVW123 is a powerful fixture with UV and warm white LEDs capable of covering wide area spaces. With its low profile design it lends itself to be installed almost in anyway imaginable. 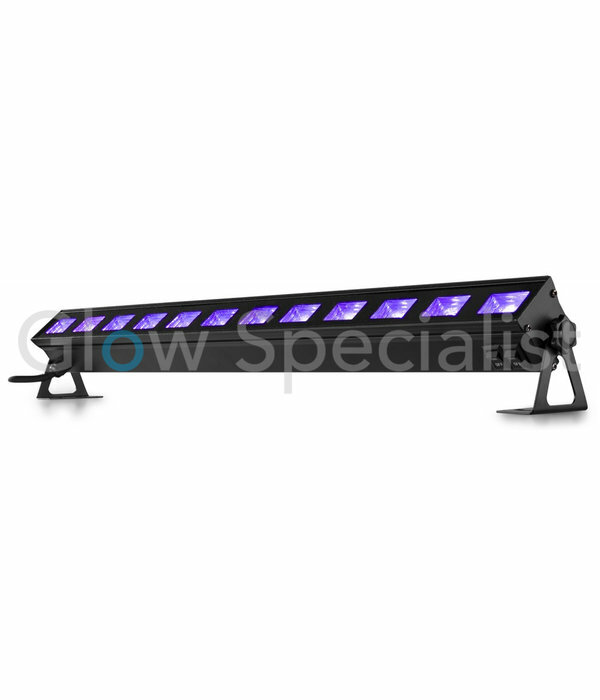 Because the unit is powered by LEDs it in turn becomes a very lightweight unit that can be easily transported from gig to gig for those who are mobile DJs. The BUV123 is powered by 12x 3W UV/White LEDs rated with a total power consumption of only 40W. The BUV123 is for washing stages, nightclubs, Bowling Center, Roller Rinks and Fun Centers with ultraviolet or white light. 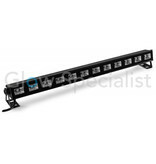 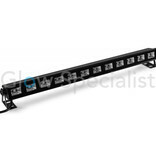 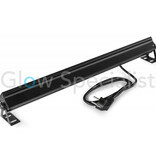 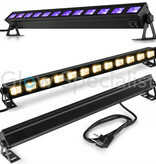 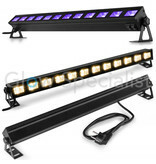 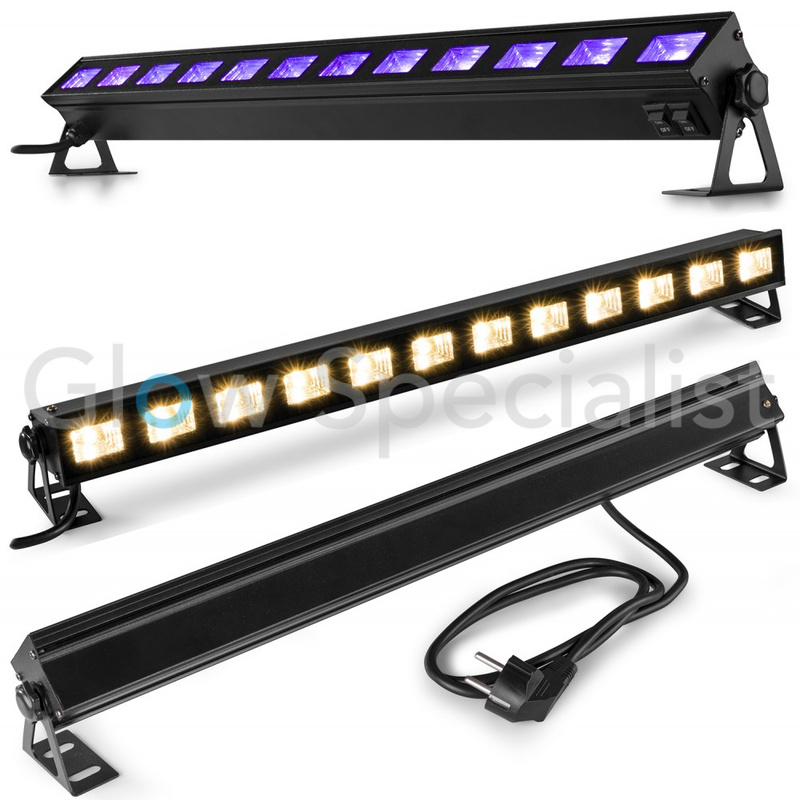 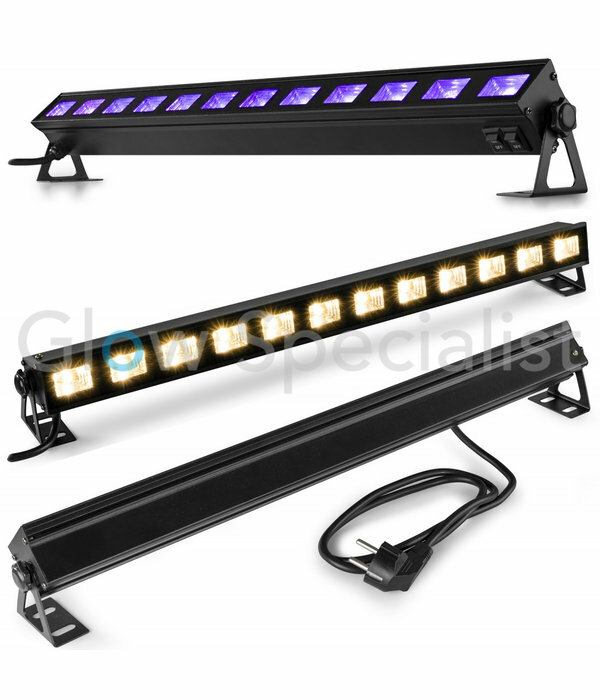 Useful with this LED bar is that you can switch on the white LEDs as soon as the party is over. Then it is a normal lamp, useful for cleaning, for example. 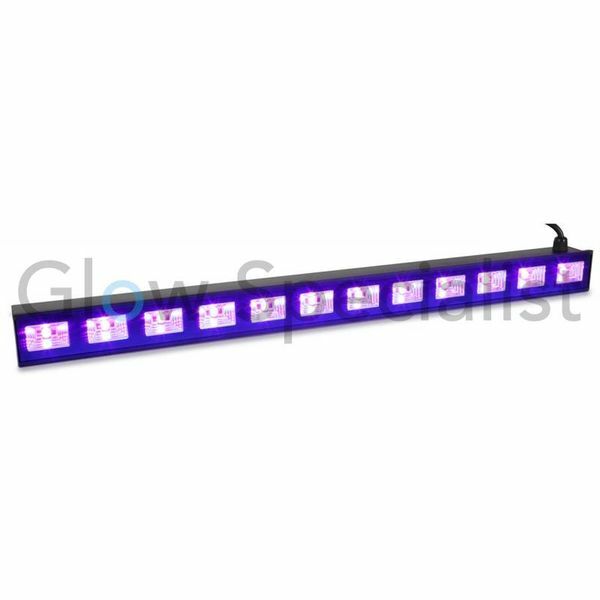 We have already written about the UV LED bar that it is a very good UV lamp for most applications. 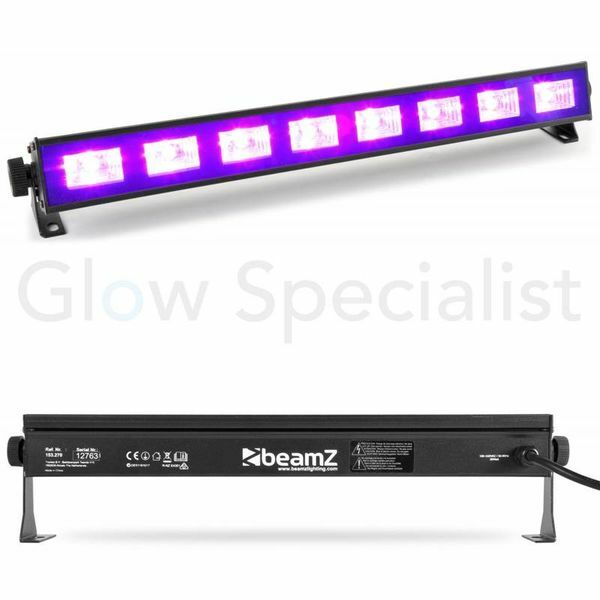 The disadvantage is the purple glow, but that is not always a disadvantage because it works great for most occasions! 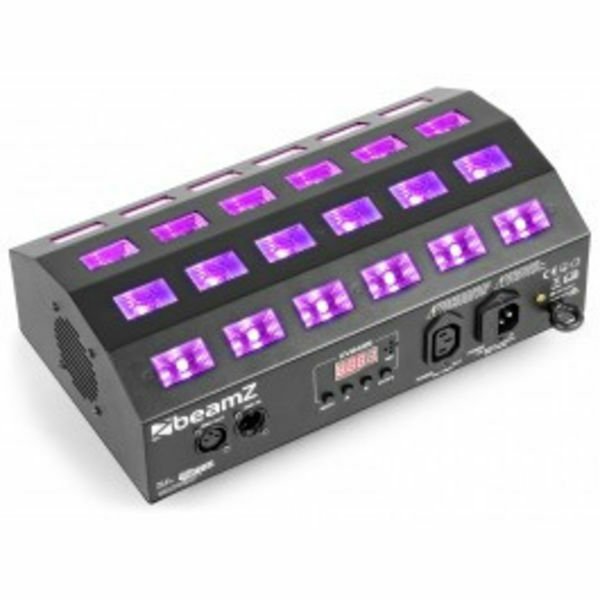 It's has a great output so it's a good deal.